Roselawn Cemetery’s new mausoleum, located near the main entrance by the Paul T. Granlund sculpture, is one of a kind. The back wall is a sculptured bronze scene from the north woods and contains 180 cremation niches, while the sides hold 96 full size crypts. 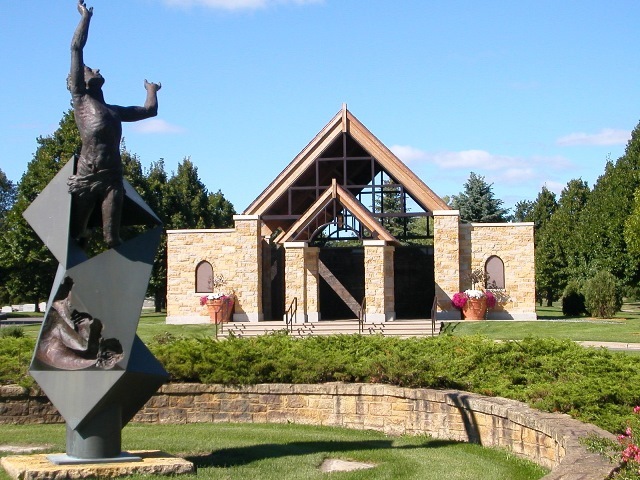 The mausoleum is built from Mankato limestone and has a slate roof to match the Cass Gilbert chapel and office buildings.